The experiment of ultrasonic treatment of roll casting aluminum strip on plane twin-roll cast-roller with double-heads ultrasonic tools was carried out, and the metallographic structure of the roll casting aluminum strip treated by ultrasonic was studied. 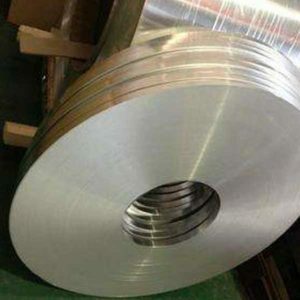 The results show that ultrasonic treatment can refine the grain of the roll casting aluminum strips and make the structure of the strips more homogeneous. The effect is the best when the power of ultrasonic is 300 W and the incident angle of the guide rod is 45°. The mechanism of acoustic cavitations and acoustic flow on grain refinement was also discussed. The heat effect of intensity ultrasonic was studied. The present problems during ultrasonic roll casting process, such as the imperfect cooling system, the inaccurate calculation of ultrasonic energy, and the shape and position of the guide rod to be improved were pointed out.